Holistic Dental Brunswick|Blog|How Does Bruxism affect Sleep? How Does Bruxism affect Sleep? Bruxism is an act of grinding the teeth during nighttime or daytime. And those people who grind their teeth unwittingly are called nocturnal bruxers. If you are suffering from nocturnal bruxism or sleep bruxism, then here is what you know about. If in case that you clench your jaws, without moving it around the jaw remains cinched together mightily for a maintained period of time. If you grind, your lower jaw moves side-to-side while grasped, making an irritating sound that is the second type. Both the types of bruxism may lead to headaches and dental damage. Nocturnal bruxism is a kind of sleep movement disorder, which is associated with obstructive sleep apnoea and restless leg syndrome. Nocturnal bruxism is an unconscious activity and it has no biological function. In fact, bruxers who clench their jaws during sleep, aren’t aware of doing it. Earlier, Dental experts guessed that tooth grinding may have been caused by contaminations or mechanical issues in the mouth, for example, blockages or ineffectively fitting dental prostheses. Bruxism is extremely common, influencing about one of every eight individuals, seen in children and adolescents. In fact, Grown-ups who encounter bruxism are probably experienced during their childhood, and they may find that the condition back and forth movements as they experience life. Bruxism cannot be noticed immediately. People with sleep partners usually notice that they have the disorder. The irritating clenching sound of teeth rubbing wakes up their partner. Ask your sleep partner, if they can hear your teeth grinding sound at sleep. Many sleep partners complain that the teeth grinding sound keep them from falling asleep. However, there are some other symptoms of Bruxism noticed by our dentist/doctors at the time of bruxism treatment in dental Clinic. Jaw Soreness: You will experience a pain or soreness in your jaw When you wake up in the morning. Lockjaw: Extreme pain when you open or closes mouth. TMJ (temporomandibular joint) syndrome: Symptoms of TMJ can include pain in the ear, face, and clicking sound when opening the mouth. Individuals with bruxism often experience TMJ disorders. The weight put on the jaw can lead to pain, inflammation, and related side effects like hearing problems. Individuals with TMJ disorder problem frequently report the symptom of grinding or holding in the night. Individuals with obstructive sleep apnoea in some cases have hidden TMJ issues that reason the apnea. On the off chance that the jaw and teeth are misaligned, the position of the tongue may obstruct the airway, which can cause snoring and at night. Additionally, If you have obstructive sleep apnoea caused by TMJ issue, odds are you might grind or clench too. Do I Need A Night Guard or Oral Appliances for Sleep Apnoea?? If you frequently wake up with a sore jaw, a dull headache or tooth pain, you may want to ask a qualified dental professional if you are suffering from a condition called bruxism. 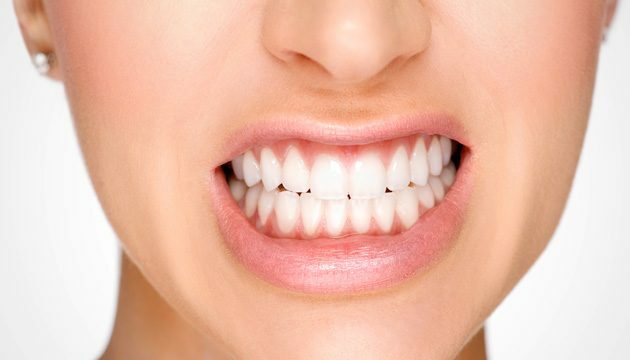 Bruxism, or teeth grinding Melbourne, affects about 10 to 15 percent of adults, according to the American Dental Association. Night guards are also available through your dentist. This is generally a more expensive device than one purchased over-the-counter but can be more comfortable to wear. How a Sleep Apnoea Mouthpiece Can Help?? 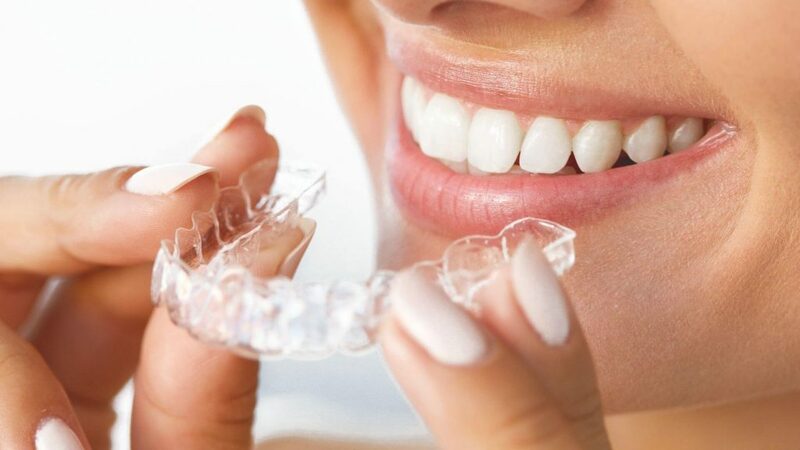 The most well-known treatment for sleep bruxism Treatment Melbourne is to wear an acrylic mouth guard uniquely fitted to your teeth. This mouthpiece or oral appliances won’t stop the genuine grinding and clenching, yet it provides a defensive obstruction to keep you from wearing endlessly at your veneer or clenching your teeth. Non-exclusive mouth guards can be acquired in drugstores or you can visit your dentist in Melbourne to have a custom set made. However, in the event that you have been determined to have obstructive sleep apnoea notwithstanding bruxism Treatment Melbourne, an uncommon sleep apnoea mouthpiece can be a decent choice for preventing a portion of the harm from grinding. These mouth guards — in some cases called mandibular advancement splints — move the position of your lower jaw to counteract airway blocks and snoring. Since they cover the upper and lower teeth and avert coordinate contact, they may offer a comparative level of security from tooth grinding that you’d get from an acrylic mouth guard. So what are you waiting for?? Visit our Bruxism treatment center in Melbourne Today. Avoid or cut back on foods and drinks that contain caffeine, for example, colas, chocolate, and espresso. Avoid liquor. Grinding has a tendency to escalate after liquor utilization. Do not bite on pencils or pens or anything that isn’t eatables. Train yourself not to hold or crush your teeth. If you see that you hold or pound during the day, position the tip of your tongue between your teeth. This training trains your jaw muscles to unwind. Relax your jaw muscles around evening time by holding a warm washcloth against your cheek before your ear cartilage.